“You look like a cucumber to me. 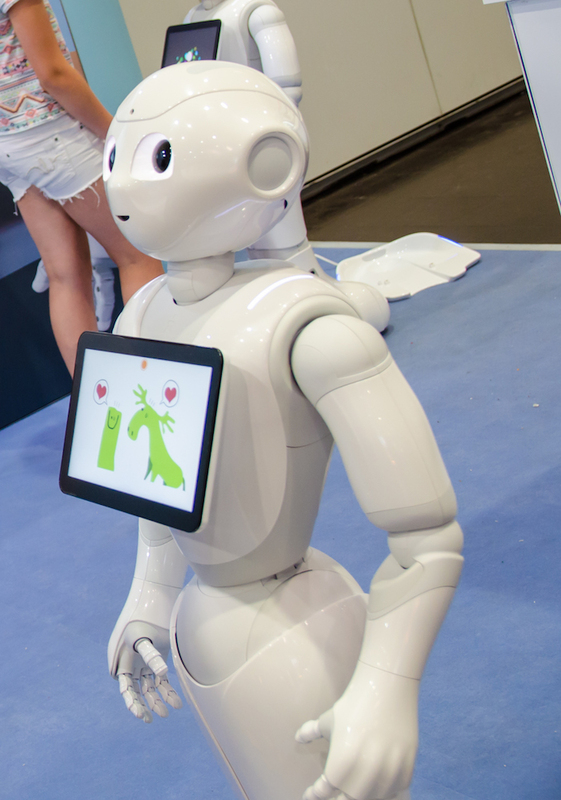 Actually all humans look like cucumbers.” That is how Pepper tried to explain to me what she sees. 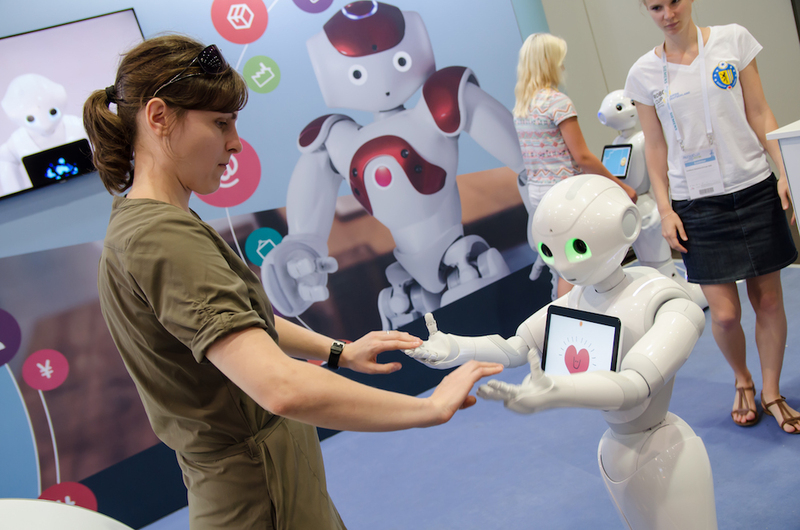 In front of the Aldebaran Robotics stand there were many cucumbers gathered to touch their heros – the Naos or just to check for fun with the new futuristic looking Pepper bot. Pepper can’t play soccer, at least, not very well. 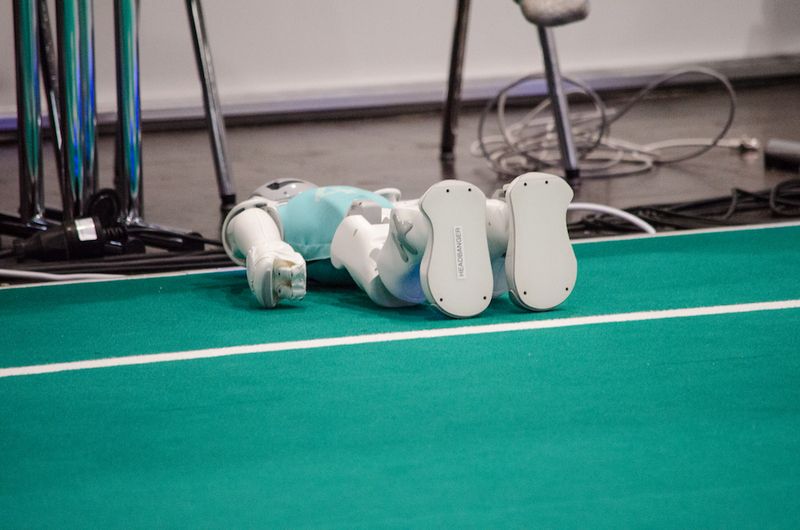 But she is charming like hell and easily captured the attention and the hearts of the majority visitors at RoboCup 2016. Which is quite an achievement in the buzzing of thousands people and robots trying to find their way from A to B via C. If you were a kid grown up on science fiction books and dreams of the never coming future, then there is no reason to be anywhere else on Earth at that particular instance of time (except if you own time machine and can come back later to check). Two gigantic halls full of toys, curiosity and heavy atmosphere of unhealthy amount of sleep shortage. 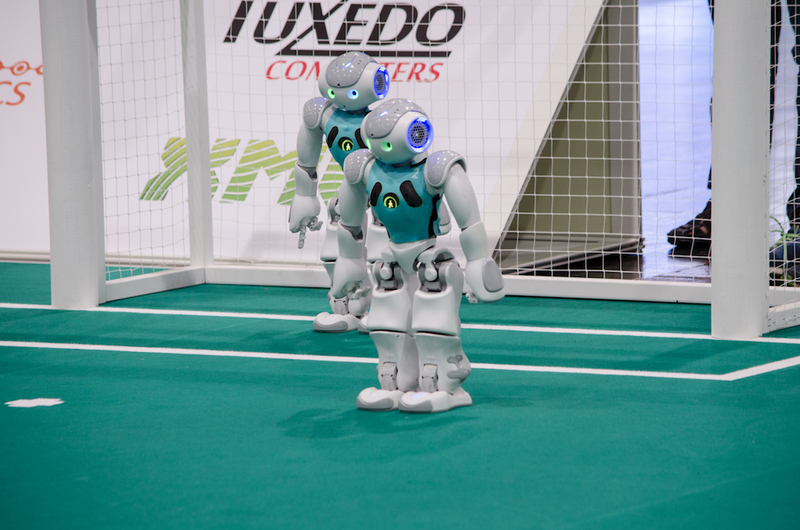 Especially in the humanoid arenas where the world’s 2050 robot soccer team is making its first steps towards the goal. I mean first steps, literally. 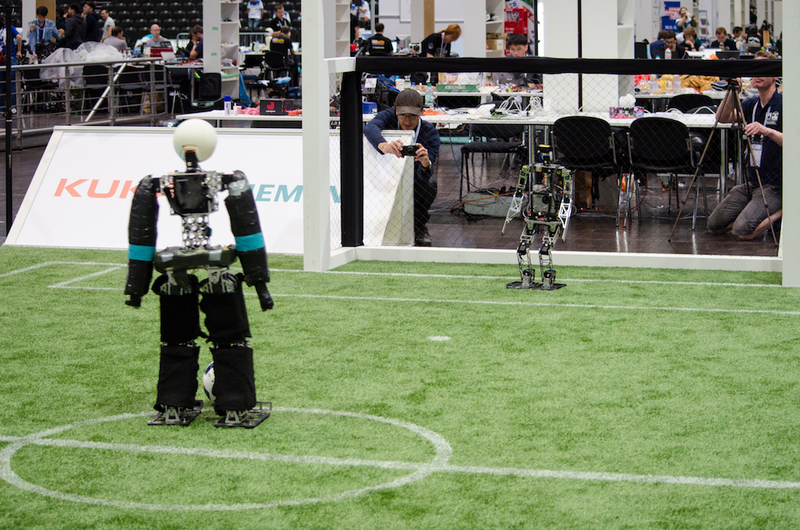 These autonomous friends are training hard for the big challenge in 34 years, to win against the human world soccer champion team. The problems at the present moment are many and obvious. 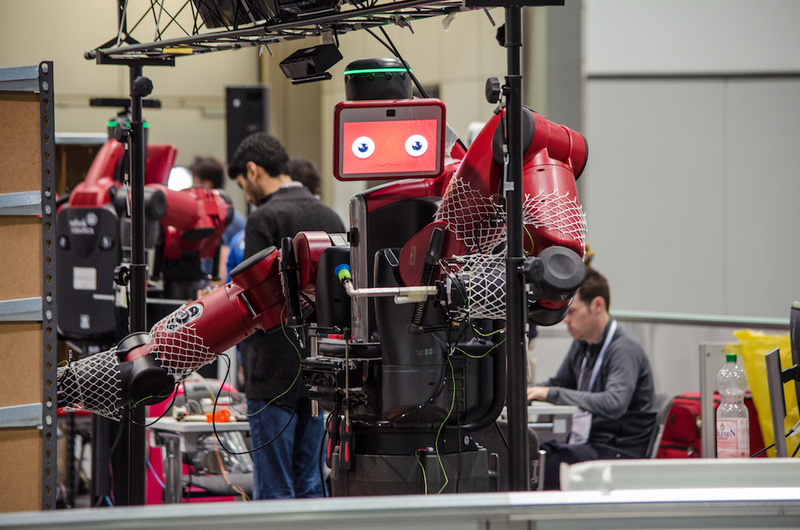 Not only the software is experimenting with the limits, but also the hardware is far away from the point we’d like to see. Even the artificial grass introduced to the rules last year presents a huge obstacle for the mechanics. On the positive side, there was no chance to miss a goal while fetching coffee or pancake. 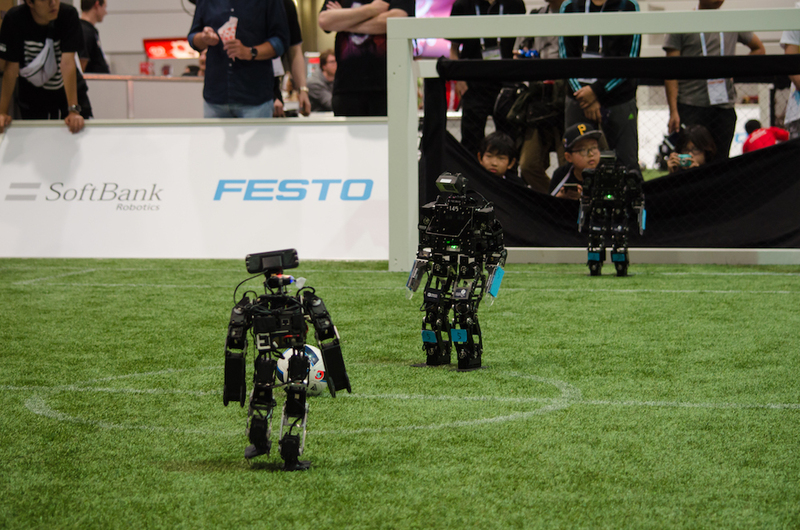 Moving to the central attraction of RoboCup, the tiny Naos from the Standard Platform League (SPL) are already capable of provoking real sport emotions among the audience. The point of the SPL is to measure the performance of the algorithms. 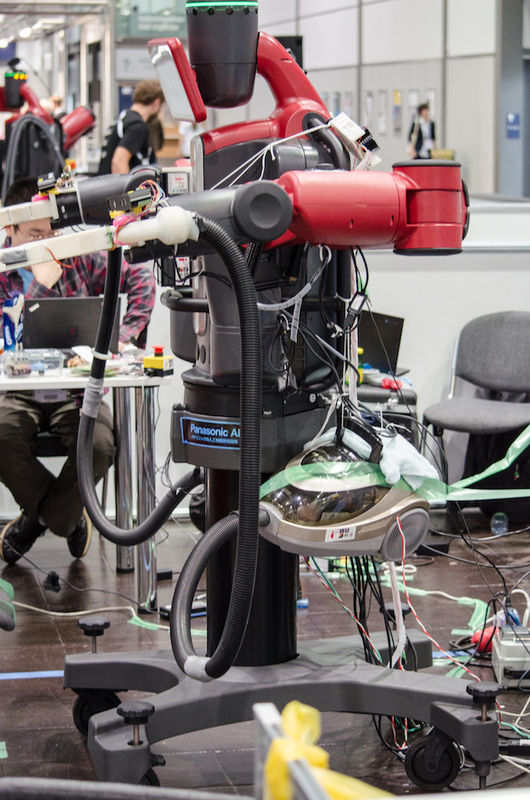 Teams from all over the world develop algorithms for the same hardware. 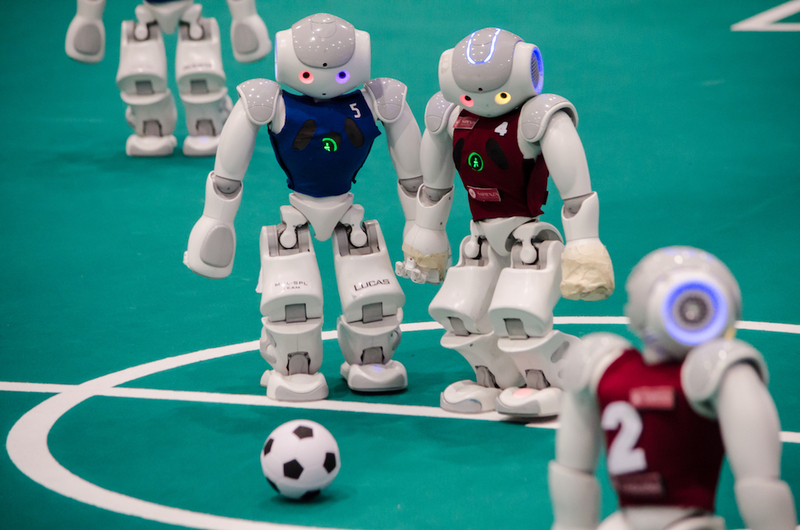 Every year a new rule is introduced to shift the robot soccer towards the real game. 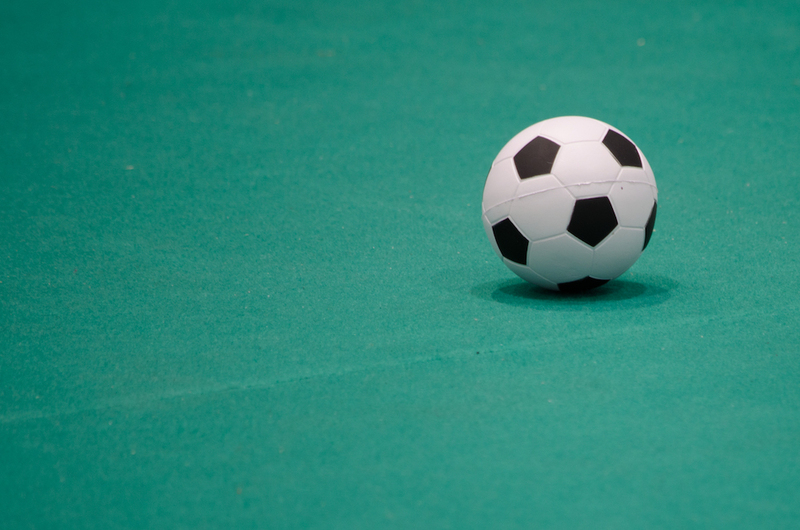 For example, this year the ball was changed – previously red and very easy to recognize, now the Naos had to handle the new black and white soccer ball. The beginning was hard and most players were confused, but at the end they learned a new skill. Last year the goal bars were changed from yellow to white. Every problem solved leads to another one. It might sounds like an infinite loop, but in fact, it is an upward spiral. Believe it or not, this is how champions are born… or assembled. 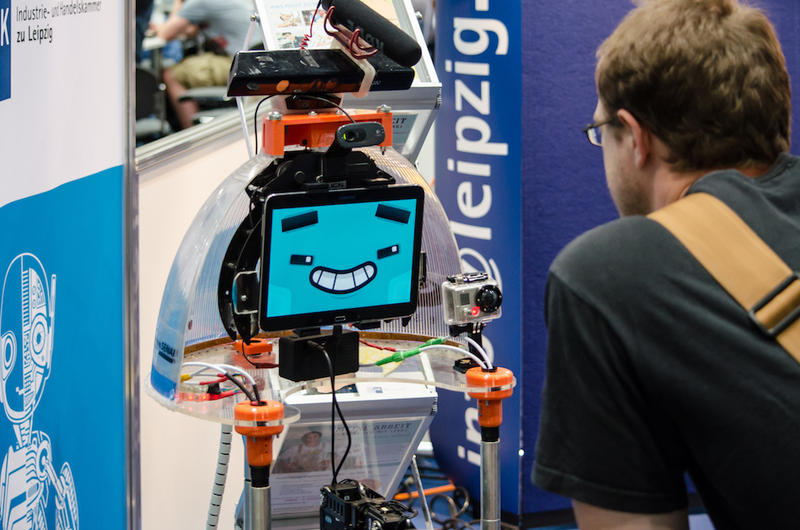 RoboCup is not only about robot soccer, it is also the event to see what is going on in the service, entertainment or education areas. 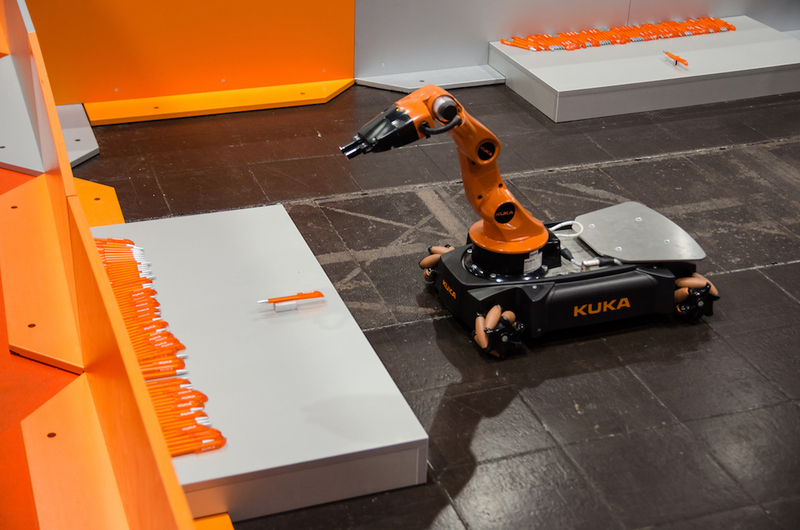 Amazon was sponsoring the so called “Pick-Up” challenge starring robo-workers competing in recognition and grabbing objects out of carton boxes. From gripper-handed to self-built bots using vacuum cleaners as actuators, every invention had the equal opportunity to prove its value. 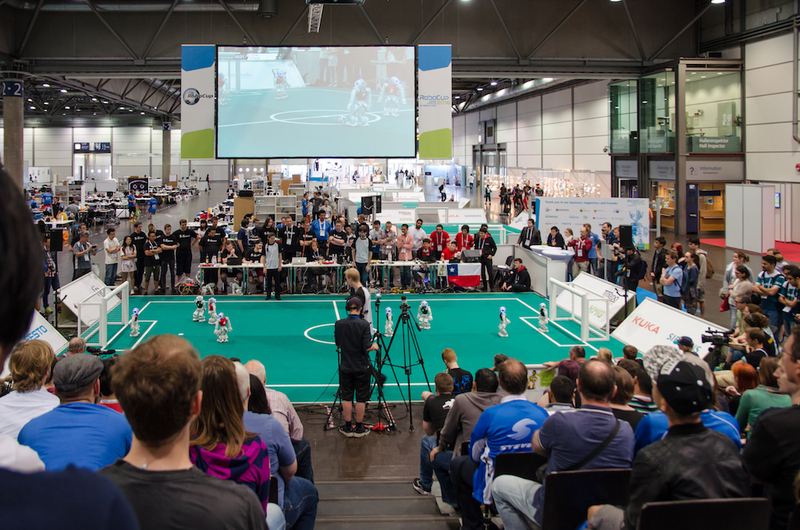 Looking back to RoboCup 2016 in Leipzig I would like to say this: we are far from beating the world’s soccer cucumber masters in 2050. We are far even from beating the famous Ronaldo-cucumber alone. Even if he plays with crutches… Drunk.. And with his eyes folded.. But then again, since when the impossibility of something awesome would stop us from doing it? Since never. Remember, when we were kids, watching Star Trek and they had this amazing technology to do video conference? Oh, boy seemed that cool and impossible. And 10 years later we had it. The point is, 35 years are eternity in the hands of a dreamer. 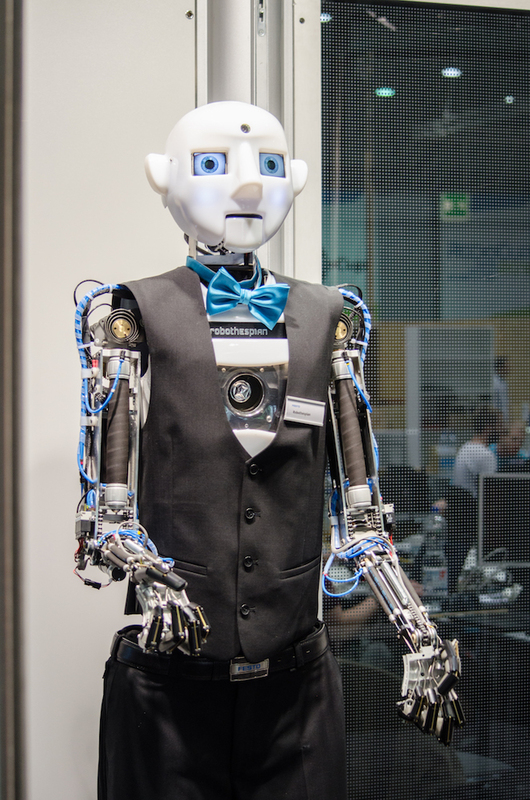 This entry was posted in AI, RoboCup, Robots, Science, smart gadgets on August 13, 2016 by admin.